Dr. Anna Frebel is the Silverman Family Career Development Professor of Physics at the Massachusetts Institute of Technology (MIT). She received her PhD from the Australian National University’s Mt. Stromlo Observatory for which she was awarded the Charlene Heisler Prize for the best Australian astronomy PhD thesis of 2006. Afterward, Anna was awarded the McDonald Postdoctoral Fellowship at the University of Texas, Austin and went on to receive the Clay Postdoctoral Fellowship at the Harvard-Smithsonian Center for Astrophysics before joining the faculty at MIT. 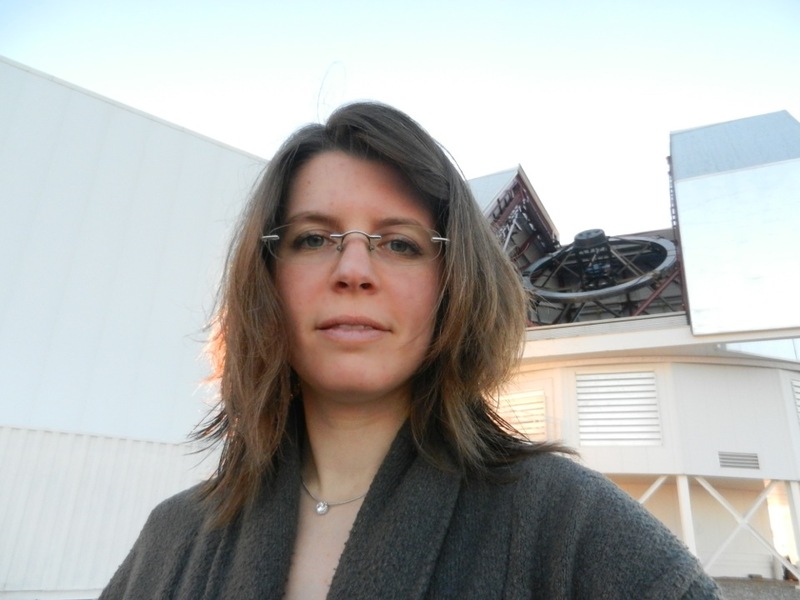 Anna and her research have been recognized with the Ludwig-Biermann Young Astronomer Award of the German Astronomical Society, the Annie Jump Cannon Award of the American Astronomical Society, and a National Science Foundation CAREER award. She was also named a Kavli Frontiers of Science Fellow by the National Academy of Sciences. Anna is with us today to tell us all about her journey through life and science. Anna just recently welcomed a new baby into her family, so she is a little sleep-deprived, but is having so much fun as well. Her son really likes people watching and studying faces, which has been great for presentations and conferences. As an astrophysicist, Anna spends her time working with students, reviewing and analyzing data on the computer, and occasionally traveling to telescopes for observing time. Her research focuses on identifying and studying some of the oldest stars in the universe using chemical analyses. While Anna doesn’t have a particular motivational quote, she is really motivated to do her work. She has always wanted to be an astronomer and is truly fascinated by stars. Another thing that keeps her motivated is having a lot of different projects going so there is always something she is excited to work on. Even when she was a kid, Anna just had a feeling in her gut that she wanted to study the stars. She kept her dream of becoming an astrophysicist secret for a while because she didn’t want to have to explain herself or defend her choice. Anna took a lot of science classes in high school and was able to connect with some professional astronomers who gave her excellent career advice. Clouds often cause problems for astronomers and astrophysicists. During one observing run, she was working at one telescope while a friend was working at a different telescope. Anna’s friend sent over one star that looked interesting, and it definitely caught her attention. However, she wasn’t able to collect more data on the star because it was too hazy out. After about a year of writing more proposals and collecting more data on the star, she finally had everything she needed. After making it through the challenge described above, it was so exciting to confirm the big discovery that this star was one of the oldest stars they had the ability to measure. Anna knew from the first moment they had found something major, but they needed more data to support it. The discovery made a big splash and was picked up by different media groups. It was fantastic to see the public getting so interested in her work as well. Anna lived in Australia during graduate school, and returning to Australia for conferences has been a lot of fun. She recently brought her son with her to Australia for 6 weeks, and it was nice to escape some of the Massachusetts winter there. She loves how the people are warm and friendly, and there is so much to see and do. Anna enjoys having frank discussions about both science and non-science topics with the wonderful people she works with. Being an observational astronomer, you really get to know people because you’re together for long nights at the telescope. Her lab doesn’t really have any quirky traditions, but they do like to get food together on these observing nights. Anna also likes to have a retreat each year where her lab can spend time together. If you think that a particular job is the right job for you, just go and do it. Don’t be afraid to ask for help along the way. Anna’s work on the oldest stars and the early Universe continues to attract international attention. She has received numerous international honors and awards for her discoveries and subsequent chemical abundance analyses of the oldest stars and how these stars can be employed to uncover information about the early Universe some 13 billion years ago. Anna has authored more than 70 papers in various journals, including Nature, and enjoys communicating science to the public through public lectures, magazine articles, interviews as well as her popular science book “Searching for the oldest stars” (available from Oct 2015, by Princeton University Press).